Photo copyright Four Seasons Resort Bora Bora. 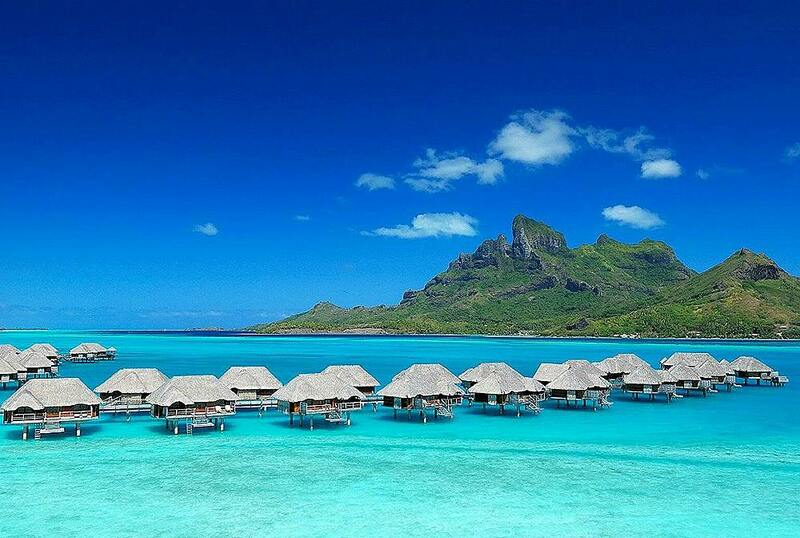 Video copyright Four Seasons Resort Bora Bora. The newest, most desirable address on the island! The Four Seasons Resort Bora Bora elevates the casual Polynesian lifestyle with ultramodern comforts. Every detail of this resort is thoughtful perfection. 100 over-water bungalow suites with private sundecks and outdoor showers and 7 beachfront villas with private pools, offer the ultimate in relaxation and indulgence. Snorkel and explore our colorful lagoon sanctuary with our resident Marine Biologist. Enjoy complimentary water sports on a crystalline lagoon. Or relax poolside in the shade of an oversize fare (cabana) while enjoying lunch and tropical cocktails. Overlooking the lagoon and Pacific Ocean, and surrounded by lush, tropical groves, The Spa at Four Seasons Resort Bora Bora is a haven of tranquility and beauty. Here you can indulge in the natural scents of sandalwood, vanilla and frangipani as you journey to another state of total bliss.